Craig Swain is a native of Missouri who now lives in Northern Virginia. 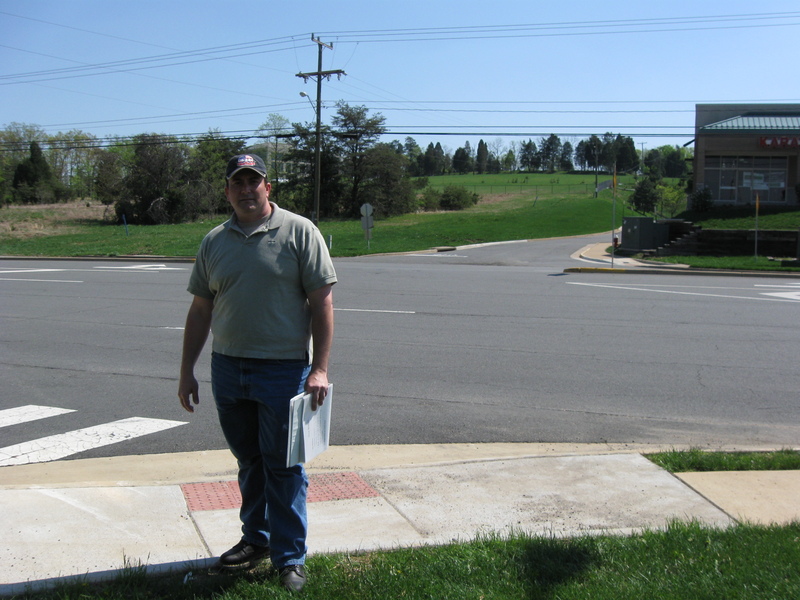 He is standing in Leesburg, Virginia, near the Fort Evans Road. The original town of Leesburg is in the background below the red traffic lights. This view was taken facing west at approximately 2:30 PM on Sunday, April 11, 2010. In today’s post, Craig Swain gives us an introduction to the Leesburg area, describes why pontoon bridges were built at Edwards Ferry, and shows us the entrance to the best trail leading to the location of the pontoon bridges across the Potomac. This map shows the location of the Edwards Ferry Videos. 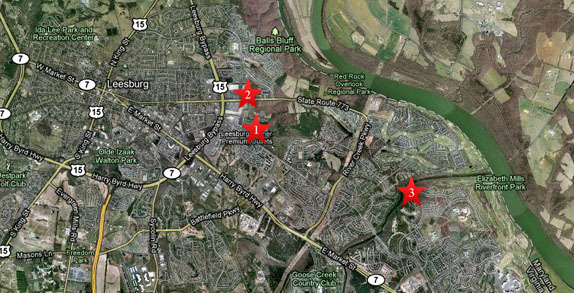 Video #1 was shot near Fort Evans Road near the Leesburg Corner Outlet Center. Video #2 was taken on Edwards Ferry Road near Fort Evans. 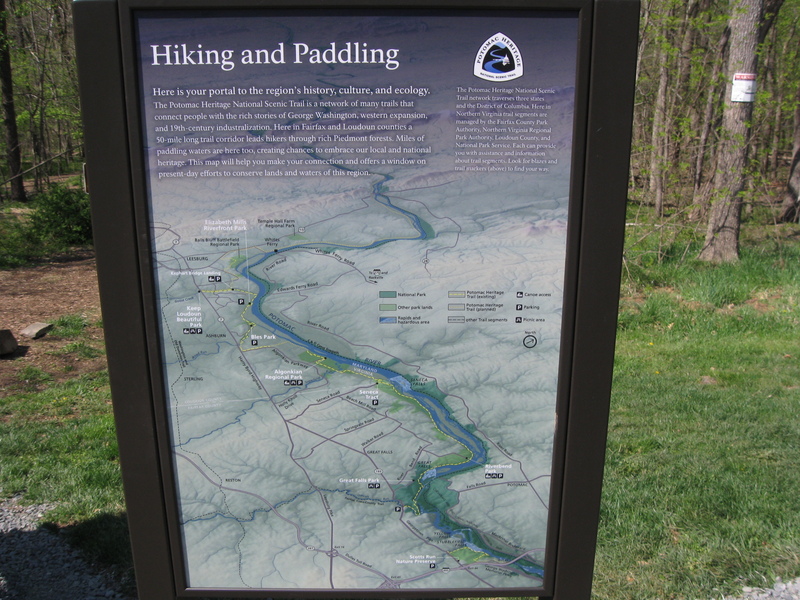 Video #3 was taken at the trailhead at Kephart’s Landing. This view was taken facing north at approximately 4:30 PM on Tuesday, April 13, 2010. Craig Swain is still standing near Fort Evans Road. 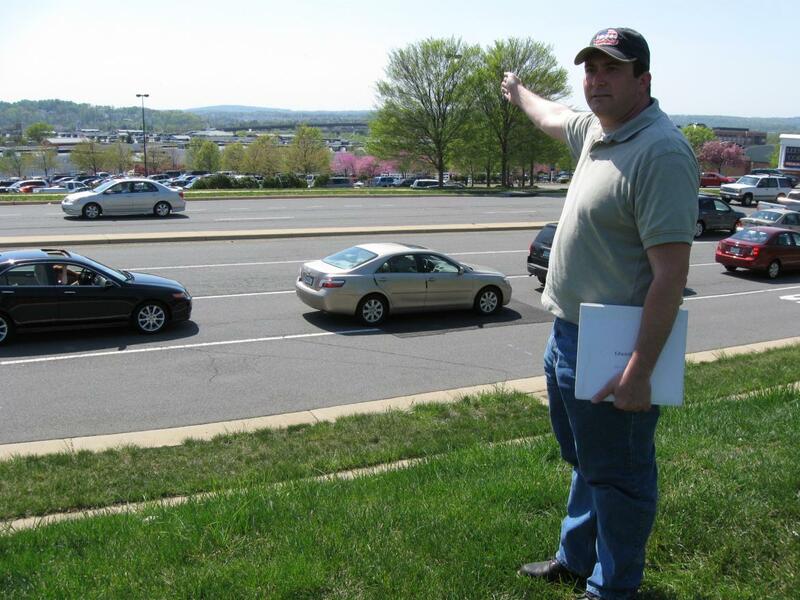 The dark colored overpass towards which he is pointing is near the Alexandria and Leesburg Pike and the Carolina Road. The Aldie Pike enters Leesburg from left to right on the other (west) side of the overpass. This view was taken facing southwest at approximately 2:30 PM on Sunday, April 11, 2010. 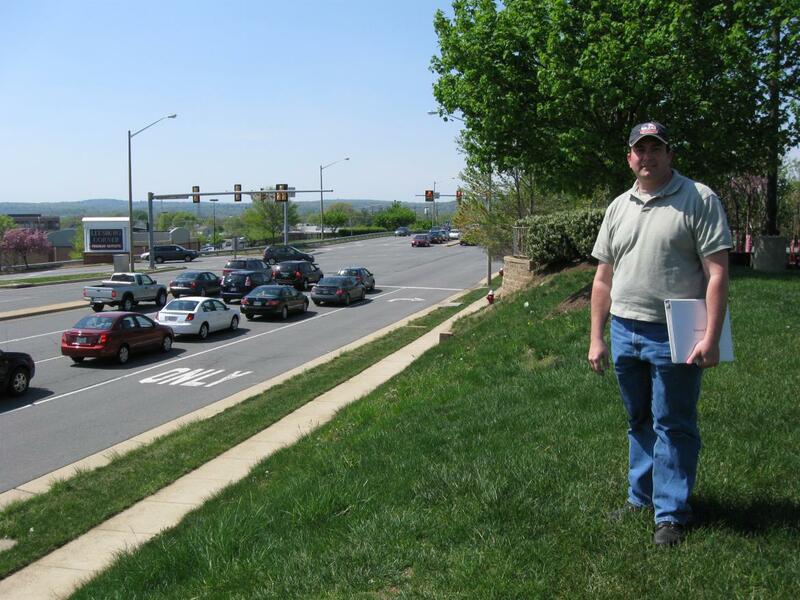 In Video #1 Craig Swain is standing near Leesburg Virginia’s Fort Evans Road. 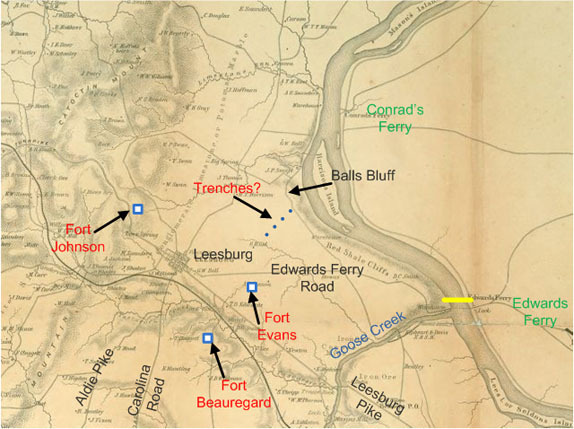 He shows the location of some of the roads that brought armies to this location in 1862 and 1863. This view was taken facing south to west to north at approximately 2:30 PM on Sunday, April 11, 2010. 1862, and was provided by Craig Swain. 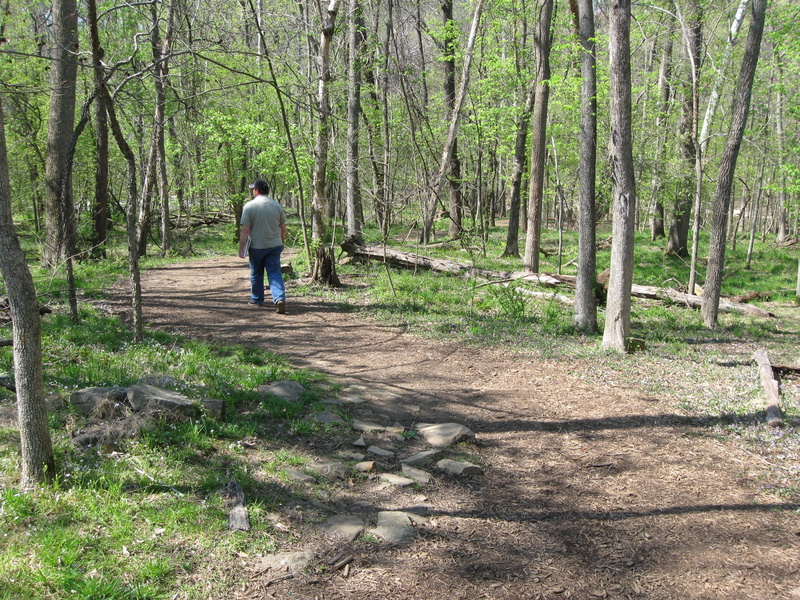 Craig Swain is now standing near the Edwards Ferry Road (right to left). Fort Evans was located on the high ground in the background. This view was taken facing south at approximately 2:30 PM on Sunday, April 11, 2010. In Video #2, Craig Swain describes why United States’ Major General Henry W. Slocum decided to have a pontoon bridge constructed at Edwards Ferry. This view was taken facing west to south to southwest to south to southeast to south at approximately 2:30 PM on Sunday, April 11, 2010. This map not only shows the Potomac River, it shows how Goose Creek empties into the Potomac. We will next drive to the Kephart Mill Trailhead to walk along Goose Creek towards the Potomac. This map was provided by Craig Swain. 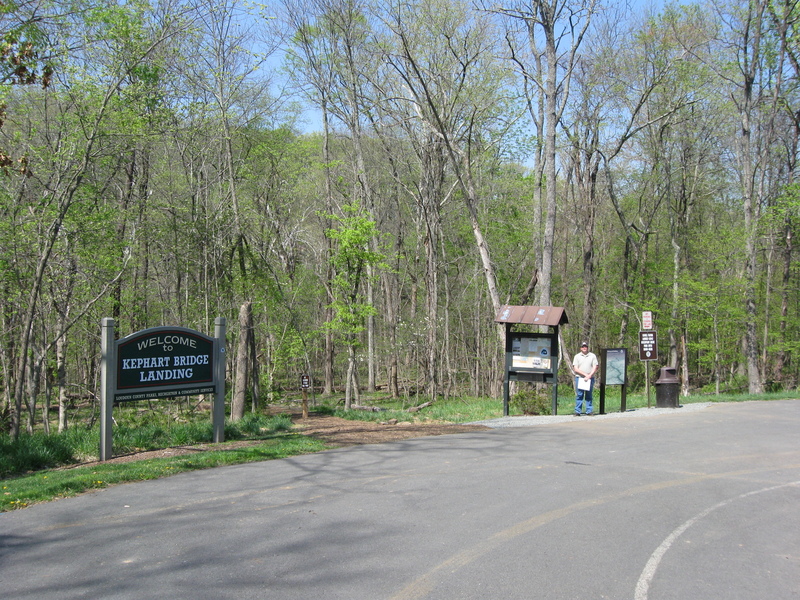 Kephart Bridge Landing is part of the Loudoun County, Virginia park system. 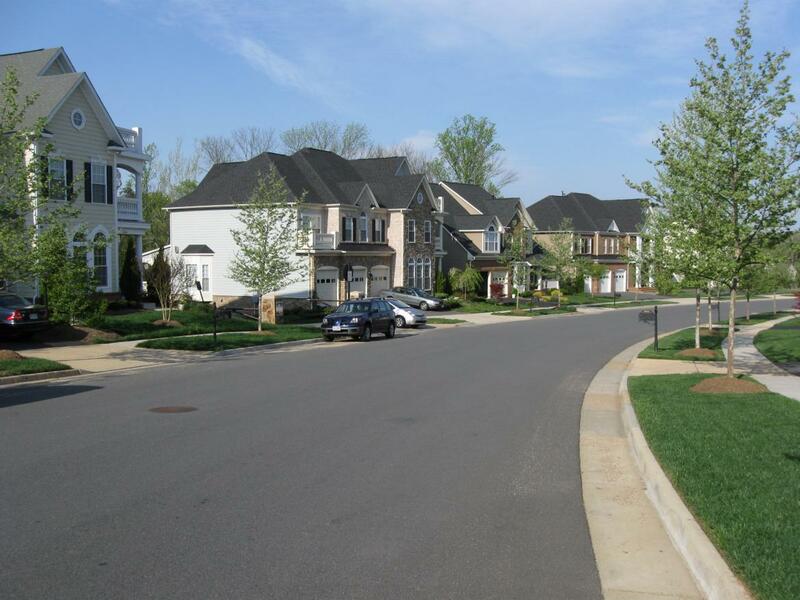 To get there, one must travel through a couple of subdivisions, and one needs to travel slowly so you won’t miss the entrance. The entrance, is where the small gray car is exiting from behind the dark blue vehicle. This view was taken facing east at approximately 2:30 PM on Sunday, April 11, 2010. 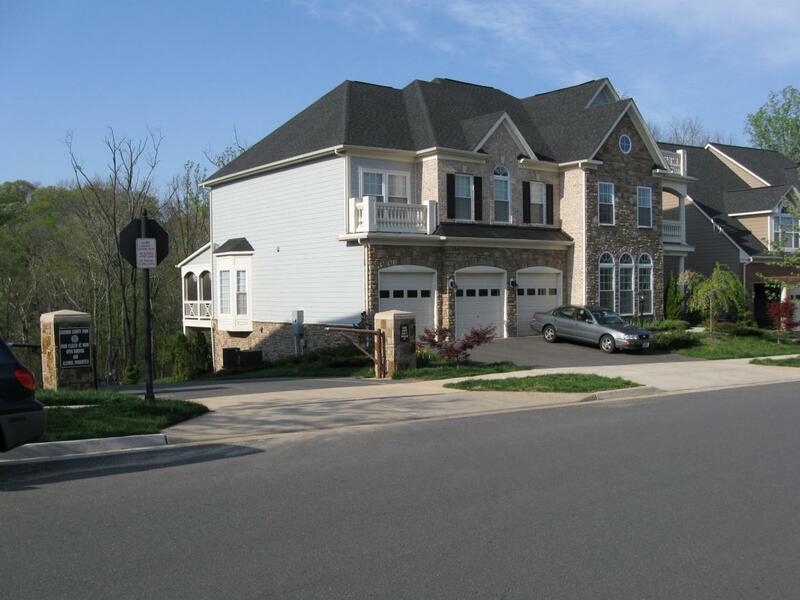 It may look like any other driveway in the subdivision, but this is the entrance to the landing. This view was taken facing northeast at approximately 2:30 PM on Sunday, April 11, 2010. Craig Swain is standing near the wayside exhibits at the trailhead. There are approximately a half dozen parking spots in this area. This view was taken facing northeast at approximately 2:30 PM on Sunday, April 11, 2010. 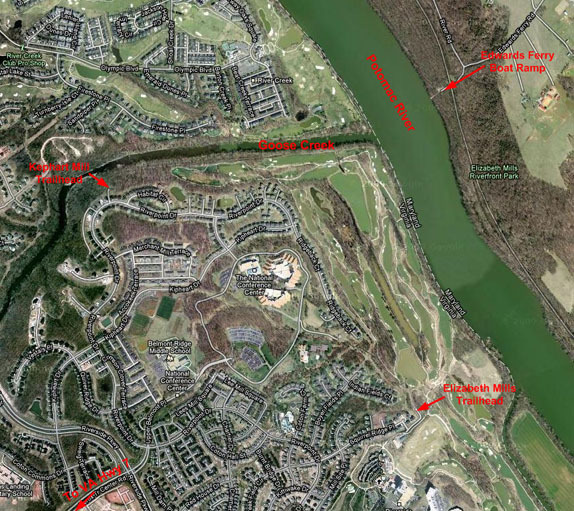 In Video #3, Craig Swain uses the wayside map to orient us to the area. This view was taken facing west to northeast to north to northeast at approximately 2:30 PM on Sunday, April 11, 2010. The wayside. Please click on this image for a more detailed view. This view was taken facing north at approximately 2:30 PM on Sunday, April 11, 2010. Then we started down the trail towards Goose Creek. This view was taken facing north at approximately 2:30 PM on Sunday, April 11, 2010.